When starting my EE I knew that I would choose something related to the modern tech world however the key problem that I faced with was choosing the company and their products. After doing some research into businesses working in growing markets and industries, I chose to focus on Tesla as a technology company. However, during my first meeting with my supervisor, I found my research question was too vague and needed to relate more heavily to business management concepts. From our discussion, I was able to narrow down the question and start to work on my research of the business concepts that we hadn’t learned in class yet and their relevance to my topic. The main priority for me will be to find business tools then match the data to the tool. Instead of finding the tool to match the data. This will help to keep the data I’m using relevant to my research question. 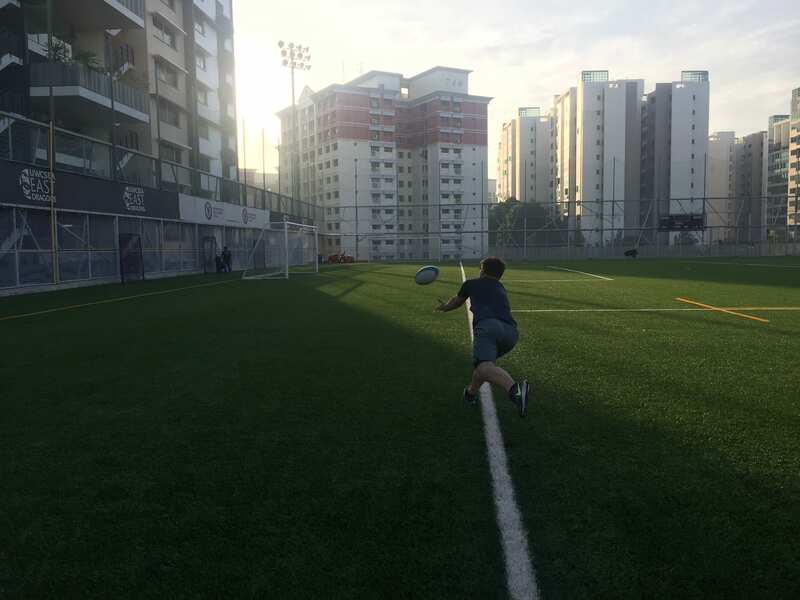 This year I chose to continue with one the same sports I did last year, rugby. Rugby however only starts in the second season so for the first season I’m doing pre-season rugby. I think pre-season rugby focuses most on learning outcomes 4 and 5. Since it isn’t necessary for the team some people just skip it, but I think that doing pre-season first will really help later on. As a team sports rugby is assured to help from bond and encourage collaboration, not just between the players but also between players and coaches. During pre-season, we train on the field every Tuesday morning, and for most other weekdays we are in the gym after school. So far I’ve found it very difficult to get back into the swing of things, with it being both physically and mentally taxing. It’s hard to find that incentive to go, and waking up each Tuesday at 5 am seems even harder than last year. However the more I train and wake up the easier it becomes and the clearer my goals become. I think rugby really helps me to have something to focus on that’s not schoolwork. I think this is an important part of balancing out my life. Pre-season rugby also really helps as a start to extra circulars as later I’m going to be doing proper rugby and softball and still having to juggle everything else. Pre-season works as a warm-up for what’s to come. It’s the first term and for my CAS service, I have decided to go to Memories of a Pioneer Generation. Its a service centered around meeting with the elderly Singaporeans who have been here since before Singapore was even founded. In terms of CAS I believe this experience falls under learning outcomes 1 & 2. I think that not only have I identified my areas for improvement I’ve also found challenges to face with this service. During this service, we go to the elderly and we build a relationship, this is done with the goal of recording their individual stories. So far we have only really focused on planning with only one real trip to the center. I think that this service will be really helpful for my communication skills, a lot of the people we are meeting with are older and often they don’t speak fluent English or English at all. These kinds of non-verbal communication skills will help improve my general life skills. I can’t wait to hear some of the stories that will come from my upcoming experiences. I think PSE has really changed my opinion about how we’ve been learning. During my time in PSE, I have learned a lot about how intelligence isn’t just what you know e.g. facts memories, but it can also be a way of understanding who you are and who the people around you are. Emotional intelligence helps a person to understand better their best and worst personality traits and how they view those traits. It also helps someone to improve the best parts of themselves while minimizing the impact of the worst parts. Finally, PSE helps to make situations more clearly and it helps me to understand what I’m fabricating about a situation and how the real-life situation isn’t as bad as it might seem at first. For me personally, I think that PSE will be very helpful, in how I look at and am able to handle myself in and throughout IB. IB will soon become a lot more difficult. I think that knowing that I have poor self-management skills and could improve on my organization could really help me. Along with that being conscientious of how my biases will affect how stressed I get about some situations will affect my a lot over the course of IB, as in the past I have done that where I have set unrealistic expectations because of how I view a situation. I have already done IGCSE maths and with such, I think that I have a firm grasp on a lot of the pre-required maths knowledge. I most associate math with problem-solving and reasoning I personally like to look at problems and solve them myself, however, I will go to a teacher if I don’t understand something. I am nervous about entering this course, I had some trouble last year even though I got good grades. I think my struggle stemmed from how fast I like to try to solve stuff and this speed leads to both a lack of organization as well as an increase in the frequency of my mistakes. I think that this is where I often get stuck and retracing my steps and going slower usually solves this. I think that in IB this is my main goal for my general learning. I think that I have strong critical thinking skills and skills in thinking outside the box. When I’m faced with a challenging problem I think of an alternate way to solve it and find the answer. I think that I also express strong communication and collaboration skills I think I work really well with anyone who I’m paired up with and can communicate well with the class. Below I’ve highlighted the skills that I think that I most embody in class. The thing that went really well within out service was the ability for us to form a retinue and understand the propose of the service with some people coming in every lesson to help. Along with coming in outside of lessons to help themselves understand the service as a whole a lot better and what we did with the checking in and out. I think that this service in general was plagued with problems mainly stemming from out members. From the start our service was filled with people who were using it as their mandatory service. Where they had either forgotten to sign up or it was their second or even third choice for a service. We had a lot of problems with consistency of arrival because of that. This all snowballed into the majority of the Service members missing during some weeks and when they would come they would have no idea what to do or where to go. We did however have some exceptions with myself, Kevin, Joseph, and Darsh but when the majority of the group is missing its hard to get work done. We never ended up completing one of our main objectives of making instructional videos with only some suggestions for games/activities only being said for a couple services during one of the first sessions.